Dr. Tim McKnight about the influence Billy Graham had on his ministry and the lessons he learned from life and work of one of the greatest evangelists in history. We can look back, look at the present, and look ahead and see the handiwork of God in our lives by the examples offered in Scripture. In interpreting the stories in the Old Testament historical books, like David and Goliath, look for the authorial intent and you will find the authoritative message. Hope is not wishful thinking or looking on the bright side. It goes deeper than optimism. Biblical hope is confidence and expectation in God’s provision. 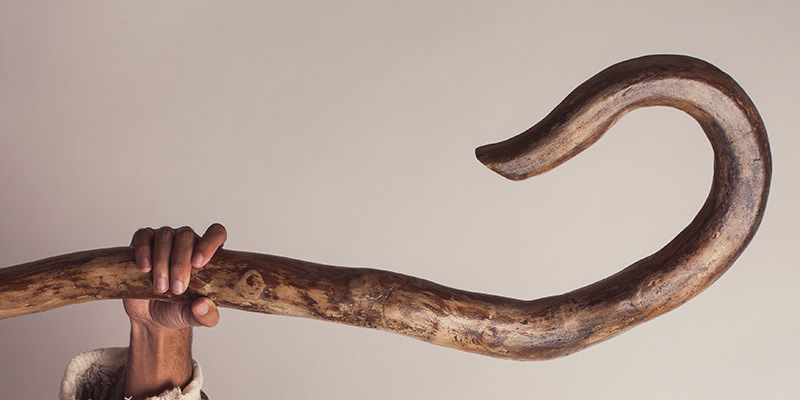 Dr. Jim Motes examines how shepherds used their staff to lead, guide, and encourage their flock in the same way God directs us today. Tim McKnight addresses reactions to bans on refugees and challenges Christians to be consistent in their outrage and speak out for persecuted believers.